The gospel today is a sort of vision and mission statement of Jesus. It highlights the love of Jesus for us, his call, and his hope that we will bear fruit. Our baptism is the first recalling of that love, promised to us in care and protection for this life and into eternity. It joins us to the community of love received and love shared. More than that – it is a call to follow in love. That we are willing to take on the characteristics of being a follower of Jesus in care, love and compassion for others. More still – we are to bear fruit. The call of Jesus is to share in the salvation of the world, in making the world a better place to live in for everyone. The follower of Jesus is committed to care of the earth and care for others. Love for the earth and love of each and all is ‘fruit that will last’. It is a high calling, challenging to us at all ages – for the young when making decisions about life and where the gospel of Jesus influences our decision; to follow through on our promise to serve God well at all ages of life, and to surrender much to him in elder years. 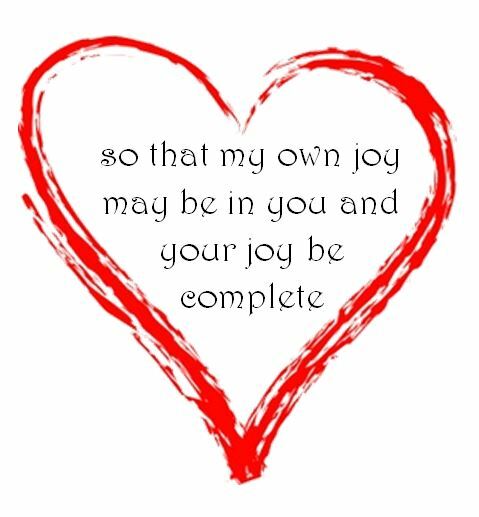 The love, the call and our service is at the root of a great and sustaining joy in life as Jesus wants ‘our joy to be complete’ and we join our lives to his vision of the world and how it might be. This entry was posted in Gospel of John, Gospel of Matthew, Gospel Reflection, Liturgy Resources, Prayer Resources, Scripture, Year B and tagged Donal Neary SJ, Gospel Reflection, Gospel Reflection for 6th Sunday of Easter, Jesus, John 15:9-17, Sunday Gospel Reading and Reflection, Year B.